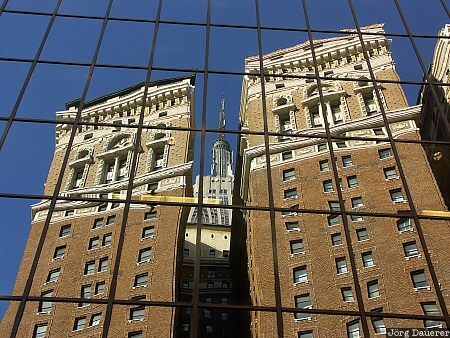 Reflexions of midtown buildings including the Empire State Building in the windows of Herold Square in Manhattan. Manhattan is the center of New York City in the state of New York at the east coast of the United States. This photo was taken in the afternoon of a sunny day in March of 2006. This photo was taken with a digital camera.